The London Peer Group is aiming to focus on raising awareness of the Service Standard across the individual 32 boroughs of London, through a series of TeaCamps. LoGov Platform is supporting the London Peer Group by providing support and sponsorship. It’s 4pm and we’re downstairs in the Draft House. Looking around… There’s tea, there’s cake and there’s peers from local government. This can mean only one thing. 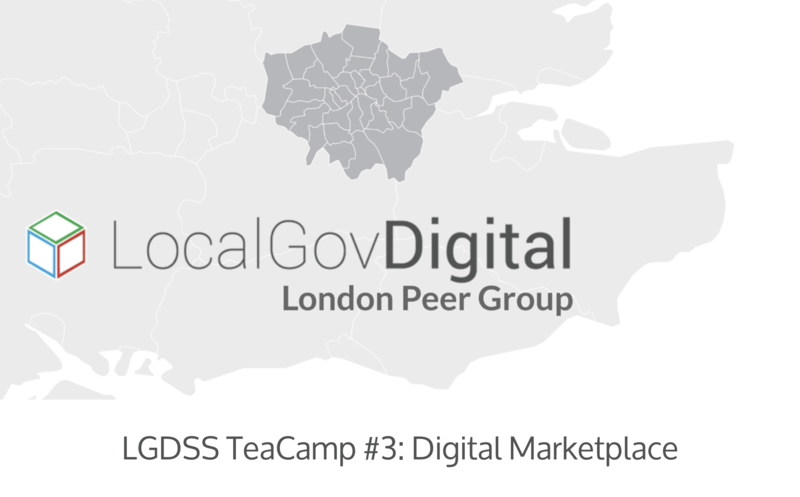 It’s the next LocalGov Digital London Peer Group LGDSS TeaCamp. Hurrah! With welcomes and introductions by Natalie Taylor of City Hall, we’re now heading into the main topic of this TeaCamp session (and why we’re all here today): the Digital Marketplace. For this TeaCamp installment, we’re joined by Tobi Ogunsina, Product Manager at GDS, and her colleague, a User Experience Researcher at GDS. They’re (very kindly) here to guide us through all there is to know about the Digital Marketplace. And we’re all very excited. 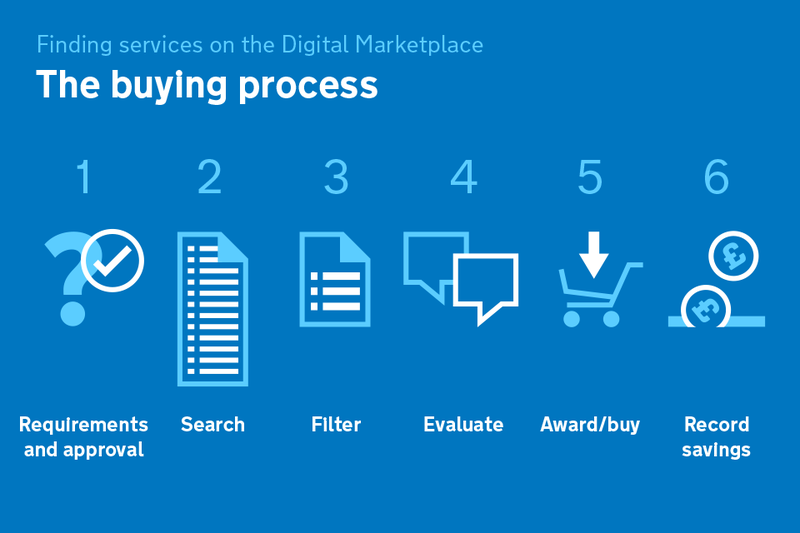 So, to begin, what is the Digital Marketplace? The Digital Marketplace is transforming the way in which the public sector are procuring and buying digital, helping them to be able to buy what they need to deliver great digital services, whether this is technology or people. Back in 2009, just a handful of suppliers dominated the market for digital government services. Today, thanks to close collaboration with Crown Commercial Service, over 91% of all suppliers on the Digital Marketplace are now SMEs, making up a total of 3,000+ suppliers. Each supplier applies to sell their services through a framework around every nine months. This allows for new suppliers to join the framework at regular intervals, not just securing one list of suppliers over a long period of time. This is for datacentre hosting services. If, for any reason, your service cannot go onto the cloud, this is where it goes. This is the most popular framework and is for cloud services: hosting, software and support. Buyers compare the services that are on offer from each supplier, then award a contract to the single supplier which provides the service that best meets their needs and requirements. This is the second most popular framework, allowing for buyers to find people, teams and specialists to work on digital services, programmes or projects with defined scopes and deliverables. The total current spend of Digital Marketplace sales is approximately £2billion, with 77% of total sales (by value) through Central Government and 23% through the wider public sector. Sharing a full exploration into the Digital Marketplace, Tobi and her colleague conclude their session with an all-important demo of how this all works, from a buyer’s perspective. Wrapping up the session is a shared link to the Digital Marketplace blog, more about user research for the Digital Marketplace and an opportunity for questions and discussion across the room. There’s a short break in the LGDSS TeaCamp series across the summer, with the next session taking place on Thursday 7th September (don’t forget to add it to your calendar). TeaCamp #4 will be focusing KPIs and metrics. In the meantime, see more on the steps Newham Council are taking to improve residential access and support to their homelessness services, via our recent case study with the Local Government Association.